FELICITY’S BACK STORY: For over 20 years Felicity has worked with national and international brands across travel, music, fashion, retail, automotive and the philanthropic sector. From a journalism/writing perspective, her scope of expertise includes editorial, digital content, copywriting, script writing as well as marketing and PR. 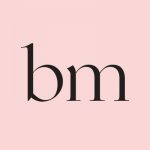 She’s also worked for of Elle Australia, Merivale Group, Domain, Qantas, CaptainAndTheGypsyKid, Pony Rider and many others… and we’re SO excited to have her onboard at bellaMUMMA. You, in three words? Resilient. Dreamer. Friend. What inspires you? So much. Travel, without a doubt – it could be a road trip or a long haul flight somewhere fancy; either way, I always come home changed in some way, geared up for the next challenge. But also my kids… I love seeing them discover new things, overcome little hurdles; championing them and yet learning from them along the way. My hubby; you’ve never seen anyone nurture and tend to a garden quite like him, it’s actually kind of remarkable. And while I’m all about books, books and more books, music completely lifts my soul. Of course then there’s my friends. There’s something pretty inspirational about women supporting women. Fave place to eat I love a good meal out at a restaurant but there’s something about sharing a home cooked meal with mates that makes me look forward to any given weekend. Potluck dinner with friends at one of our houses on a Saturday night is always a winner. Fave place to drink In summer? The big shallow step in my girlfriend’s pool with a margarita in hand. In winter? Round the fire pit at home with a glass of red. Oh and the local French restaurant does a cracking French Martini. Fave TV show I’m series binger and I’m about to embark on Big Little Lies. I loved the book and have heard good things about the show. Can’t wait. Fave place to shop I sort of mix it up. I love pre-loved clothing and I’m usually up the front of the queue at a good wardrobe clear out. If I need a little last minute something, I’d head to MamaPapa in Avalon, and then online I can usually find something anywhere between Free People and Net-a-Porter. Fave Lingerie Calvin Klein. It’s hard to go past a classic. Fave Makeup Laura Mercier Tinted Moisturiser, MAC Mineralize Skin Finish, MAC Strobe Cream and some lip balm. Three things in your life you can’t live without? Eeeek 3? Can I have 5? My family, my mates, music, the ocean and tinted moisturiser. 4 Fave songs on your iPod? Devendra Banhart ‘Lover’ (oldie but a goodie), Elliot Smith “Baby Britain” (another classic but it’s a perfect cruising north on the freeway song), Flume ft Kai “Never Be Like You” (ok, it’s been on high rotation but it’s good), Greta Ray “Drive” (what a voice and gee she can write). Fave place to escape to? My parent’s property in Gloucester. How do you relax? A Netflix binge with my hubby once the kids are asleep. Best piece of life advice you’ve received? Don’t let anybody steal your joy. That and: measure twice, cut once.